Unflinching, timely, and authoritative, Crashing the Borders is the beginning of a much-needed conversation about sport and American culture. For those who care about both, this book will be the must-read work of the season. The game of basketball has gone global and is now the world’s fastest-growing sport. Talented players from Europe, Asia, South America, and Africa are literally crashing the borders as the level of their game now often equals that of the American pros, who no longer are sure winners in international competition and who must compete with foreign players for coveted spots on NBA rosters. Yet that refreshing world outlook stands in stark contrast to the game’s troubled image here at home. The concept of team play in the NBA has declined as the league’s marketers and television promoters have placed a premium on hyping individual stars instead of teams, and the players have come to see that big-buck contracts and endorsements come to those who selfishly demand the spotlight for themselves. 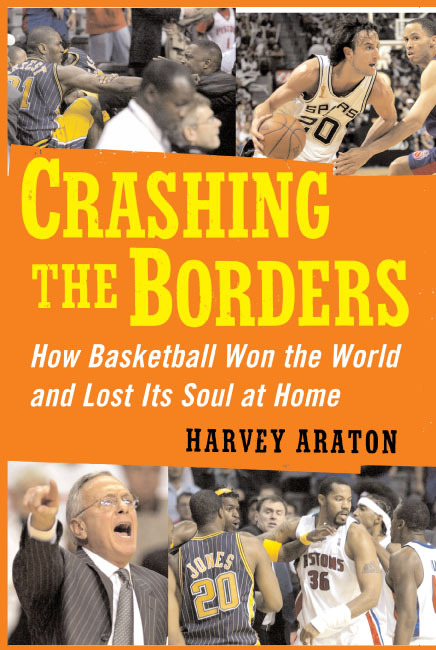 In this taut, simmering book, Harvey Araton points his finger at the greed and exploitation that has weakened the American game and opens a discussion on the volatile, undiscussed subject that lies at the heart of basketball’s crisis: race. It begins, he argues, at the college level, where, too often, undereducated, inner-city talents are expected to perform for the benefit of affluent white crowds and to fill the coffers of their respective schools in what Araton calls a kind of “modern-day minstrel show.” Harvey Araton knows the players well enough to see beyond the stereotypes, and by combining passion and knowledge he calls on the NBA to heal itself and, with a hopeful sense of the possible, he points the way to a better future. Harvey Araton has been a sports columnist for The New York Times since 1991. 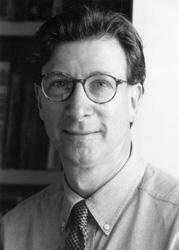 The author or coauthor of three other books, he lives in Montclair, New Jersey, with his wife and two hoop-loving sons.